A good quality nut butter that is not full of junk, sugar or unnecessary oils will cost you a pretty penny. 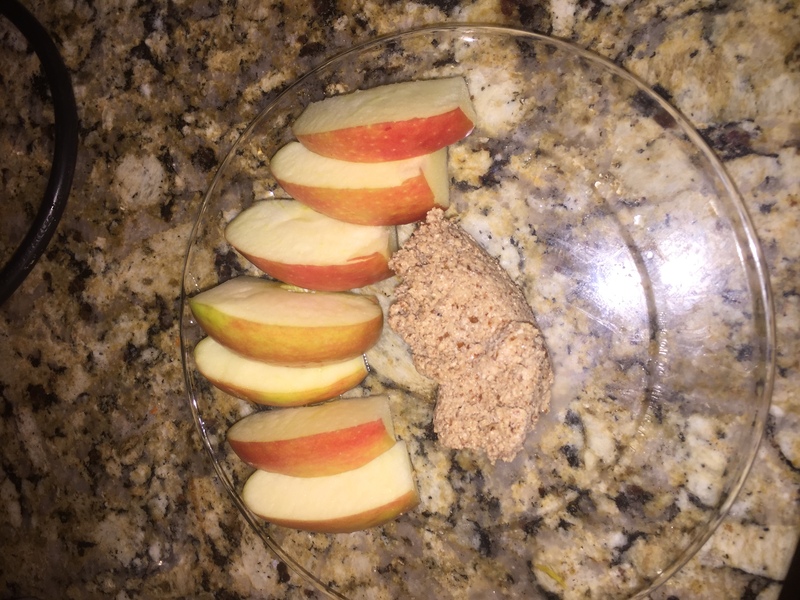 Alex and I found a way to make our own raw nut butter at home. There are many benefits to making your own nut butters including saving money AND knowing the ingredients that are going into your recipe. I am a fall girl so I also used this as an opportunity to ‘spice’ it up a bit with pumpkin spice! The key is to get creative and the options really are endless. We start by using a large commercial food processor (though this is not necessary). Alex and I probably use our food processor more than any other kitchen tool. I love to purchase my bag of Raw Pecans from Costco. When you purchase in bulk, you also save a little money. The KEY to this recipe is to use a good quality RAW nut. NOTE: For atleast 8 hours we HIGHLY RECOMMEND you soak your nuts. We use a quart size mason jar, fill with nuts, fill with warm purified water and 1 teaspoon of himalayan salt, shake well. Allow this to sit and soak. The longer your nuts soak, the more easily digestible they will become. We like to allow our nuts to soak overnight. In a large food processor combine soaked raw nuts and add in 3 tablespoons of coconut oil, 1 heaping tablespoon of Sunflower lecithin and sprinkle himalayan salt and pumpkin spice to liking. Add in 1/4 teaspoon of vanilla extract. If you do not care for pumpkin spice you can skip this step OR add cinnamon etc. Pour in liquid stevia to your liking (I am lavish with this) and turn on food processor. Allow it to really blend until the nut butter becomes creamy and thick. 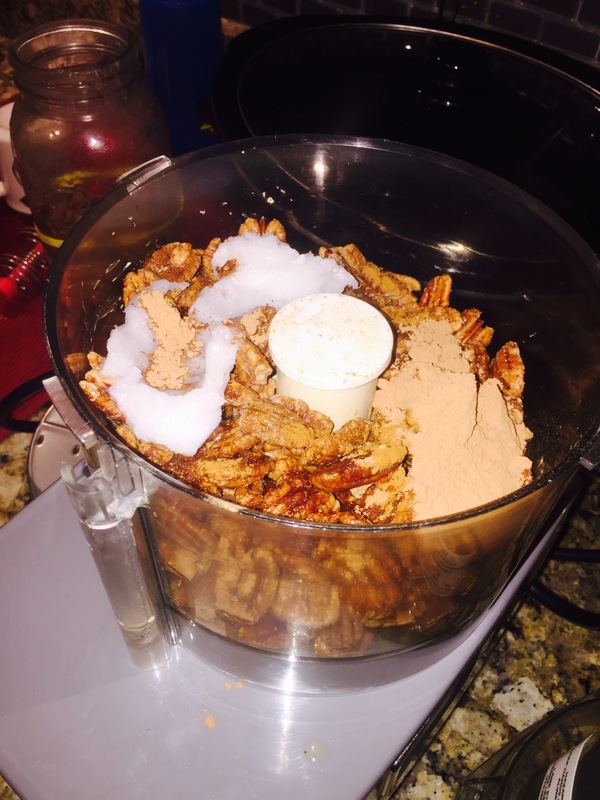 If your nut butter is dry or not mixing well, add in a little bit more coconut oil to help with blending. We then pack our nut butter into glass jars that we save. The key is to use an airtight jar. I use a large spoon and really press down the nut butter well so that there are no air pockets. This will allow your nut butter to last longer. Keep in mind, you can add chocolate protein, cacao powder or a variety of other seasonings. The key is to find what it is you like and you do this by playing with and perfecting this recipe. We love that fall and ‘Pumpkin Spice Pecan Butter’ is a perfect way to enjoy it! We hope you enjoy this creamy homemade nut butter as much as we did and here is to a happy (healthy!) Fall season. Definitely on my “to make” list! Thanks for this recipe.